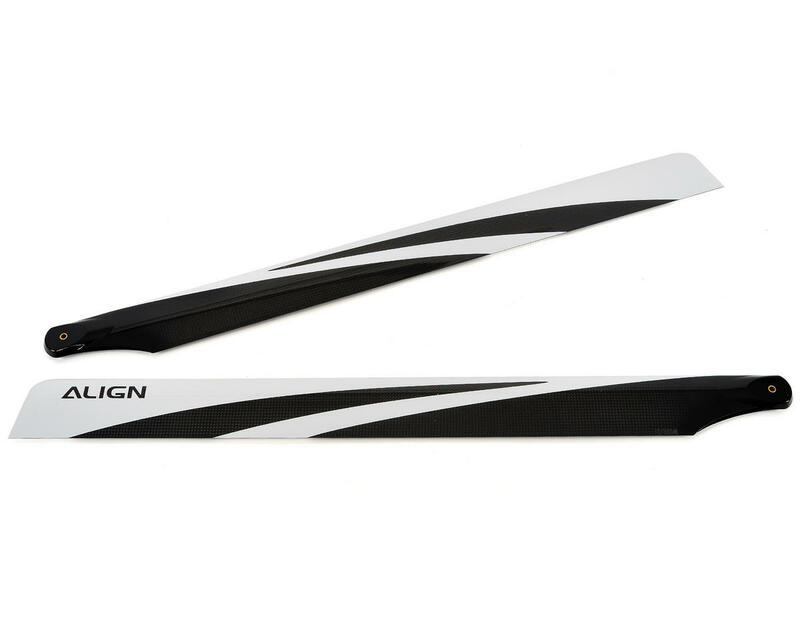 This is an Align 700mm 3G Carbon Fiber Blade Set. These blades are for use with the Align T-REX 700 3G Flybarless System. 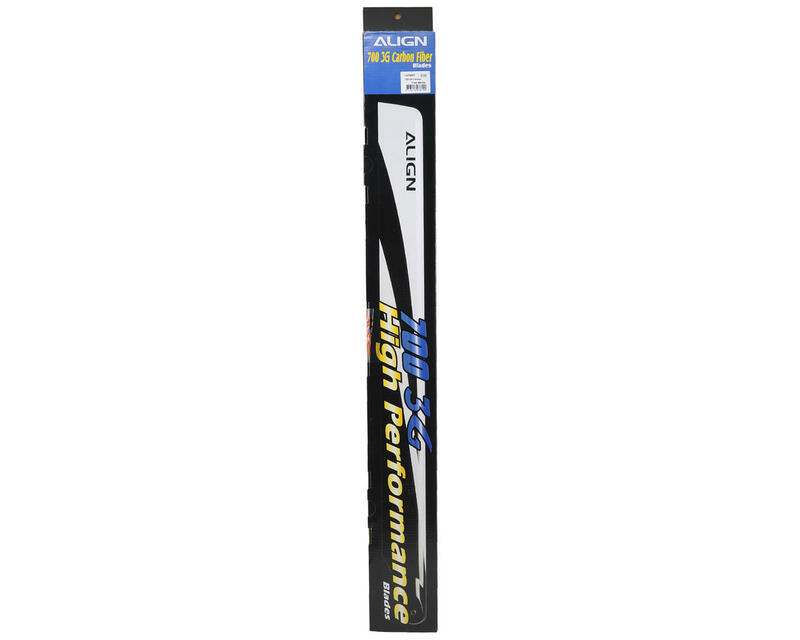 These 700 3G main blades are designed specifically for extreme 3D flying, featuring both high agility and excellent stability characteristics. The blades feature a redesigned airfoil design, coupled with updated painted graphics. In addition, the blades' rigidity have been increased for better anti-torsion characteristics during flight. The airfoil design effectively minimizes turbulence at the blade tips, reducing blade noise and power loss.